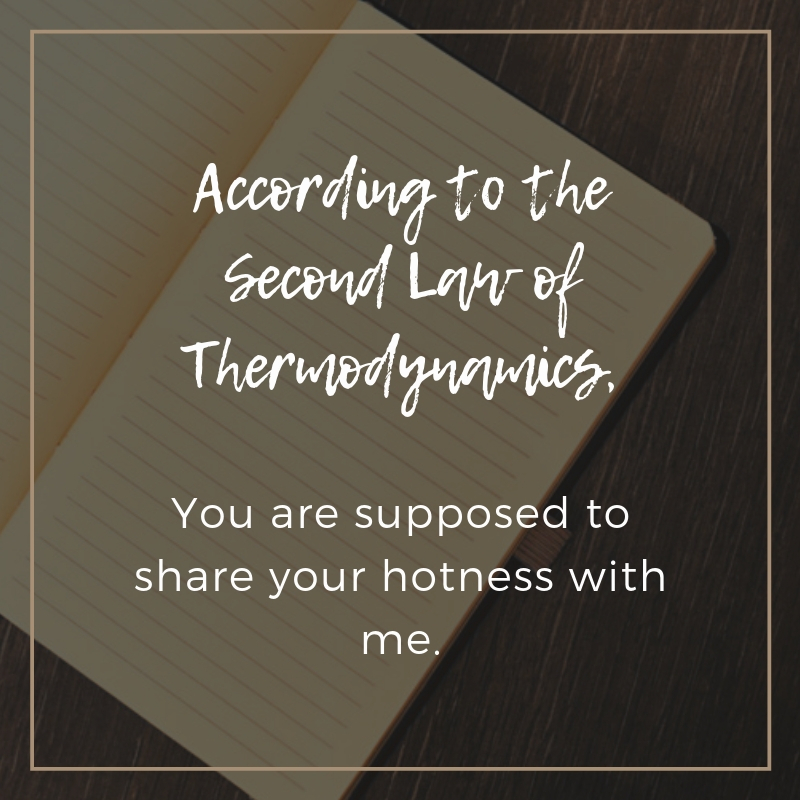 Sometimes, impressing a woman is a difficult challenge. 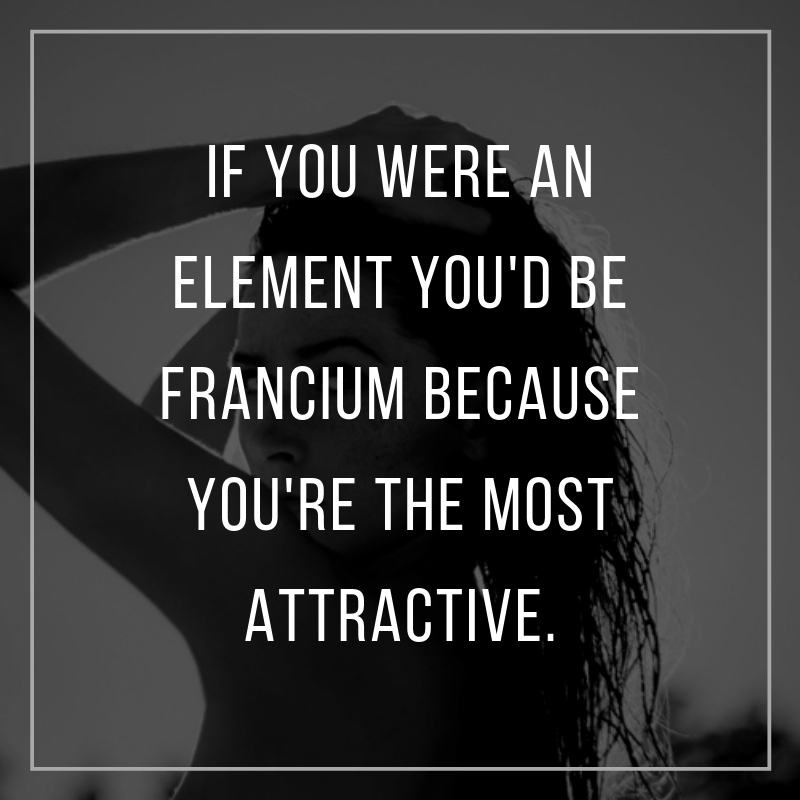 You have to show her that aside from your charm, you also need to appear smart. 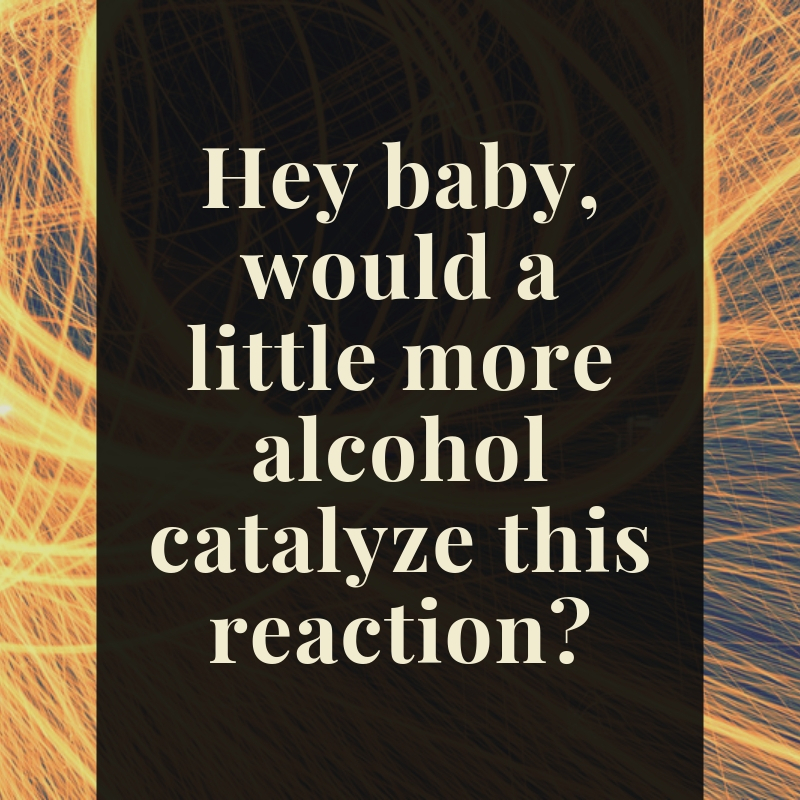 If a woman that you are currently eyeing on is a tough nut to crack, maybe it’s time for you change your strategy. 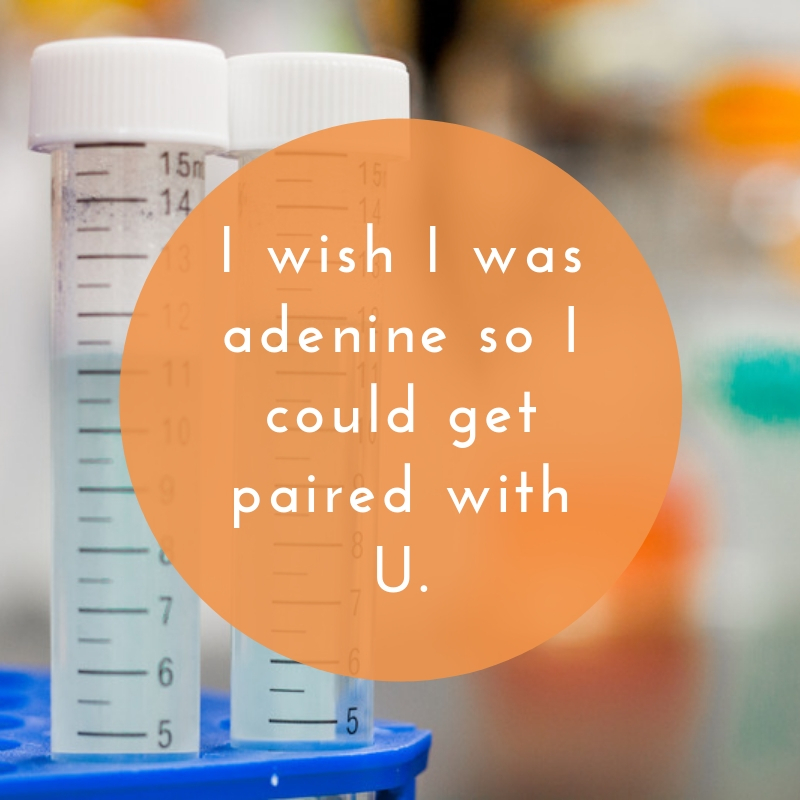 Chemistry pick-up lines will not only bring out a radiant smile from any girl’s lips but also deliver a positive reaction. 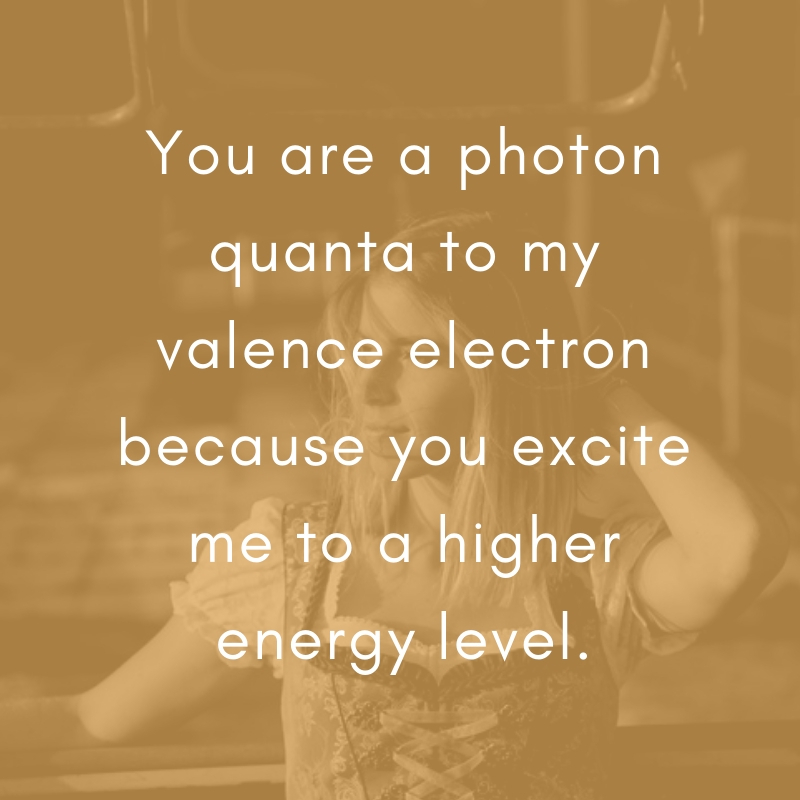 These pick-up lines will surely captivate the attention of any woman who likes intelligence. 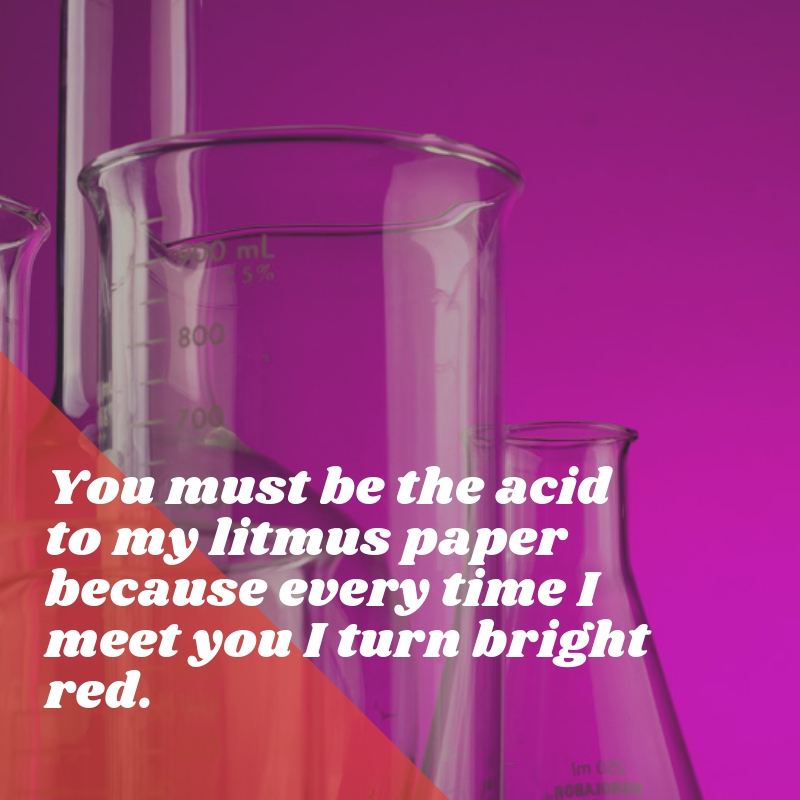 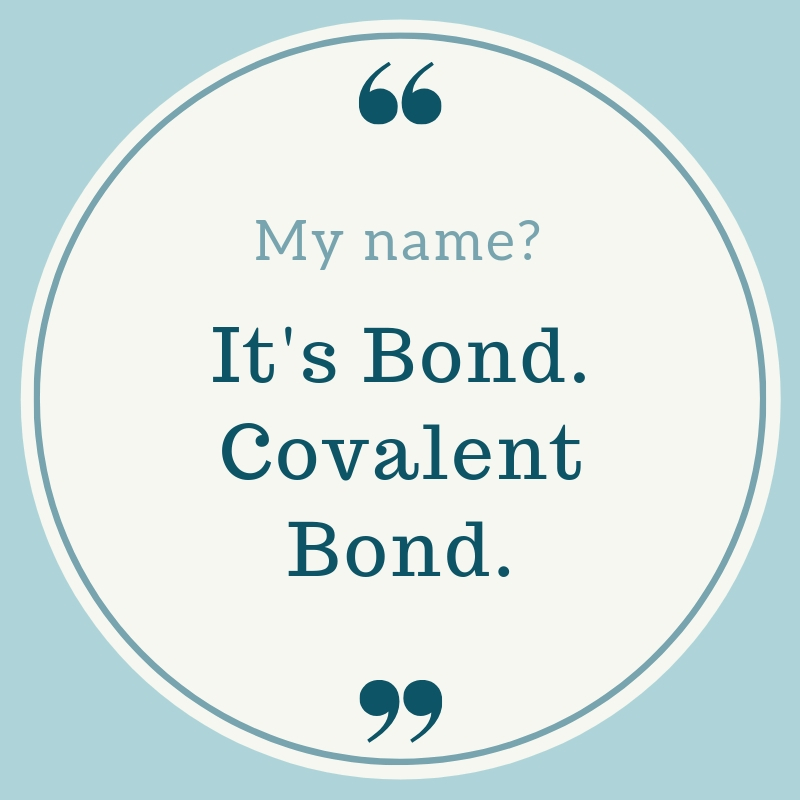 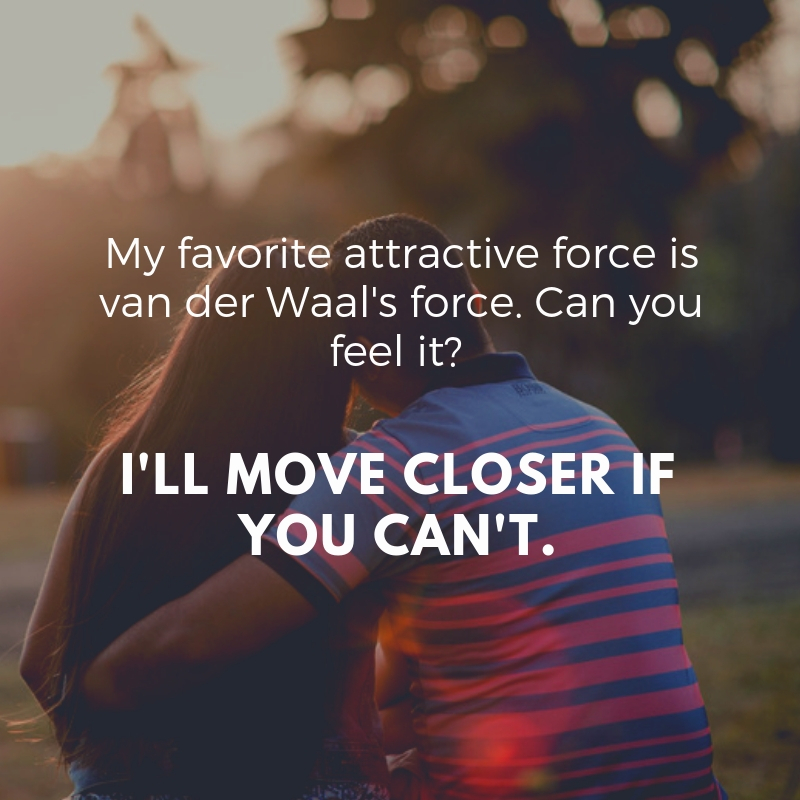 If you like chemistry pick-up lines, make sure that you share these to your friends, family, and loved ones. 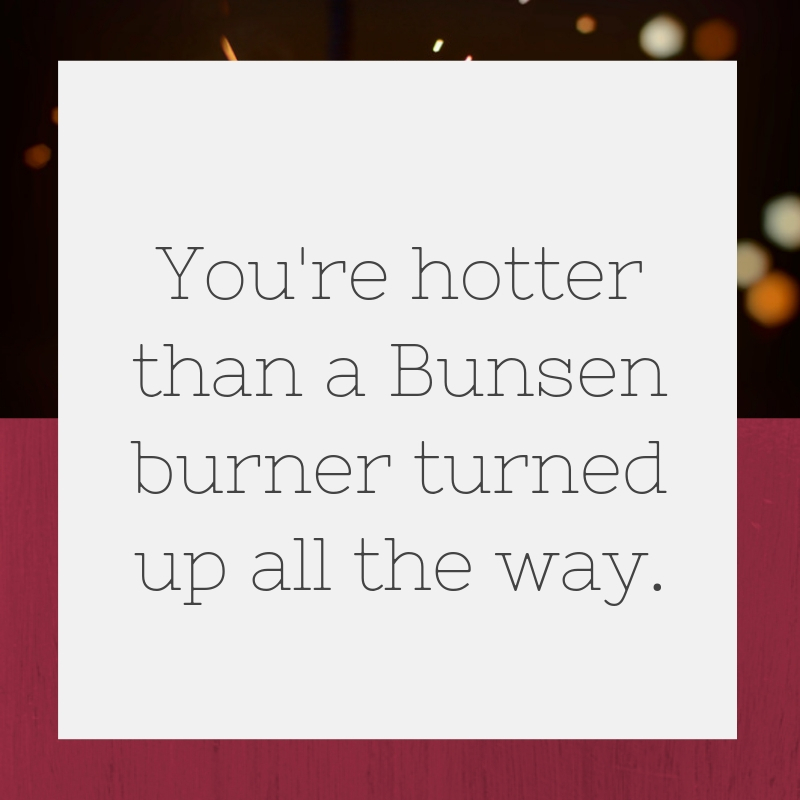 We bet that these will bring a smile on the face and make their day complete. 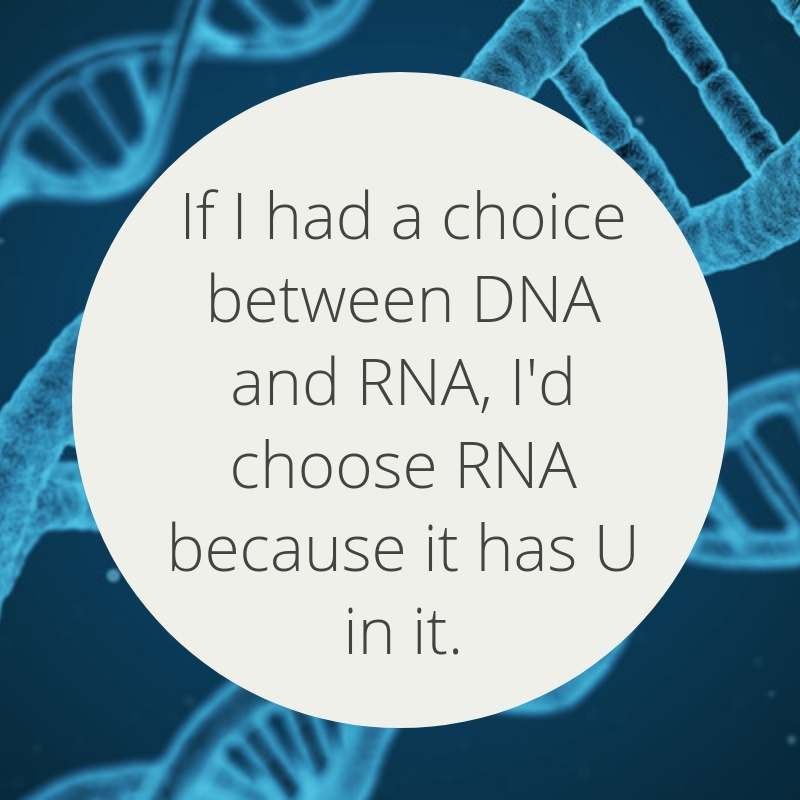 Are you into science? 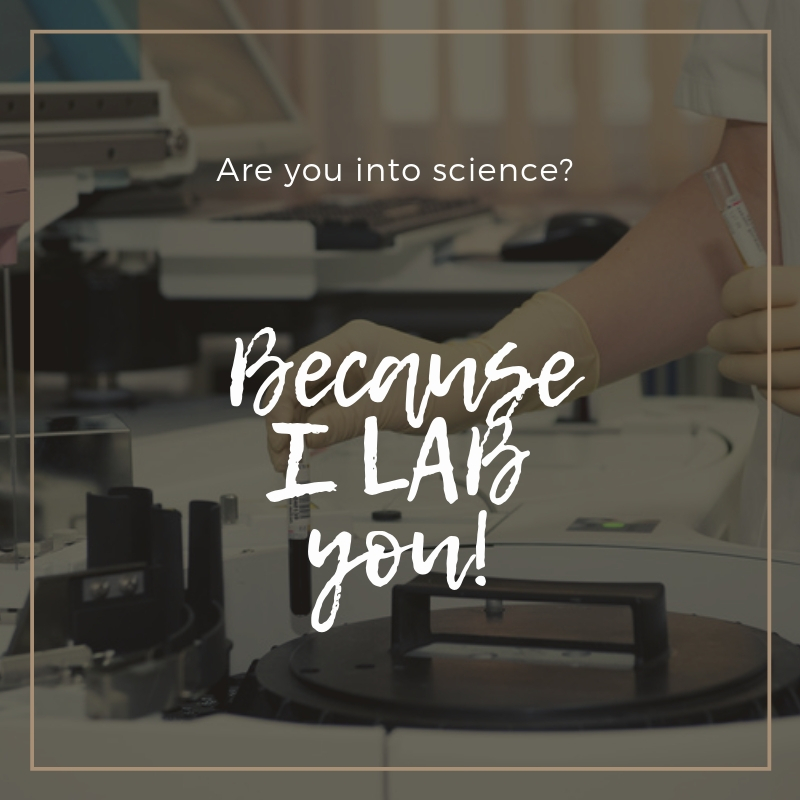 Because I LAB you! 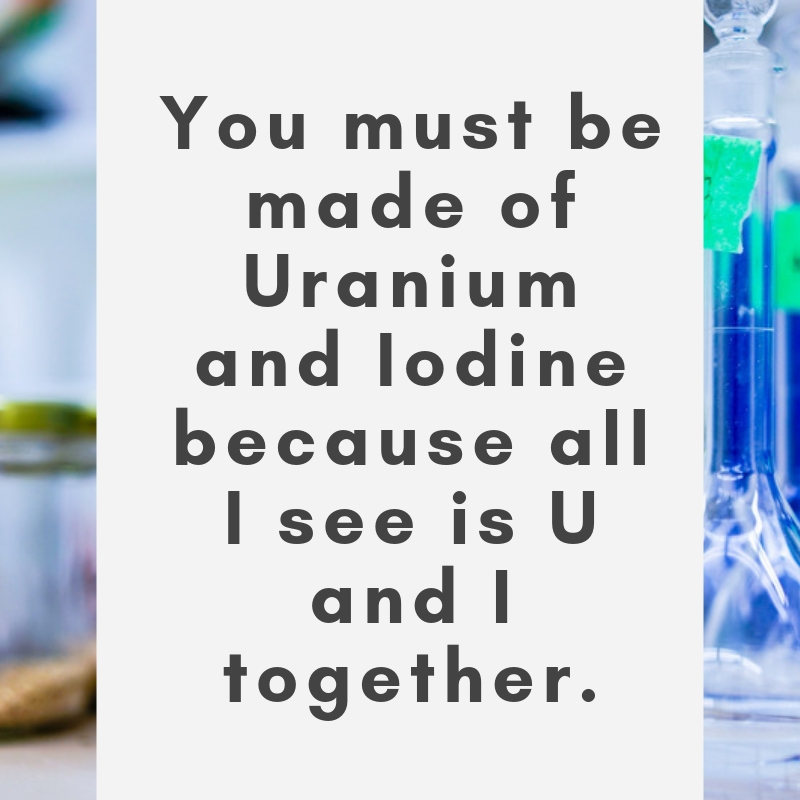 You must be made of Uranium and Iodine because all I see is U and I together. 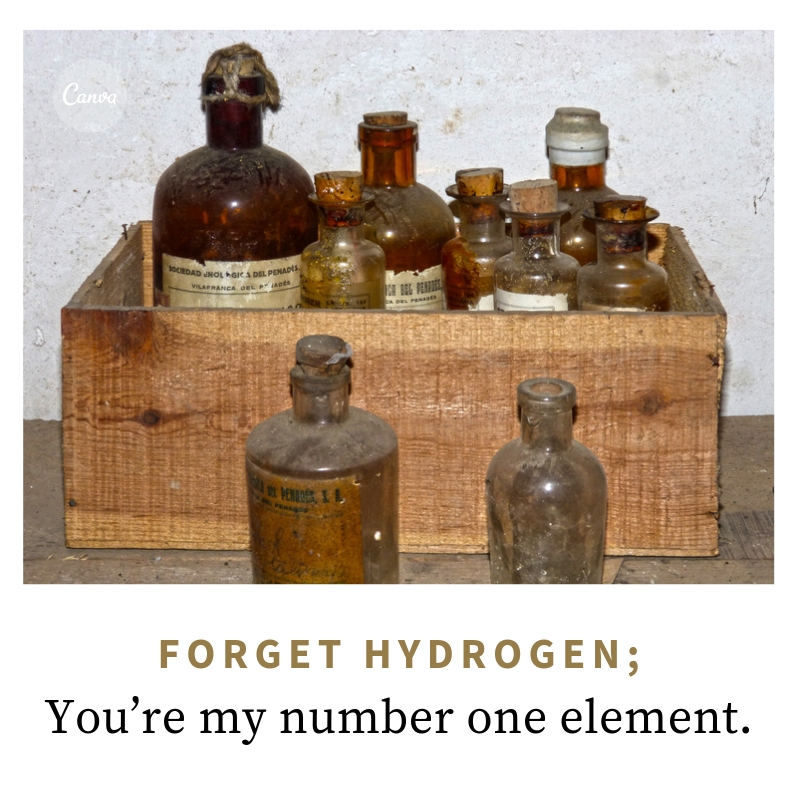 Forget hydrogen; you’re my number one element. 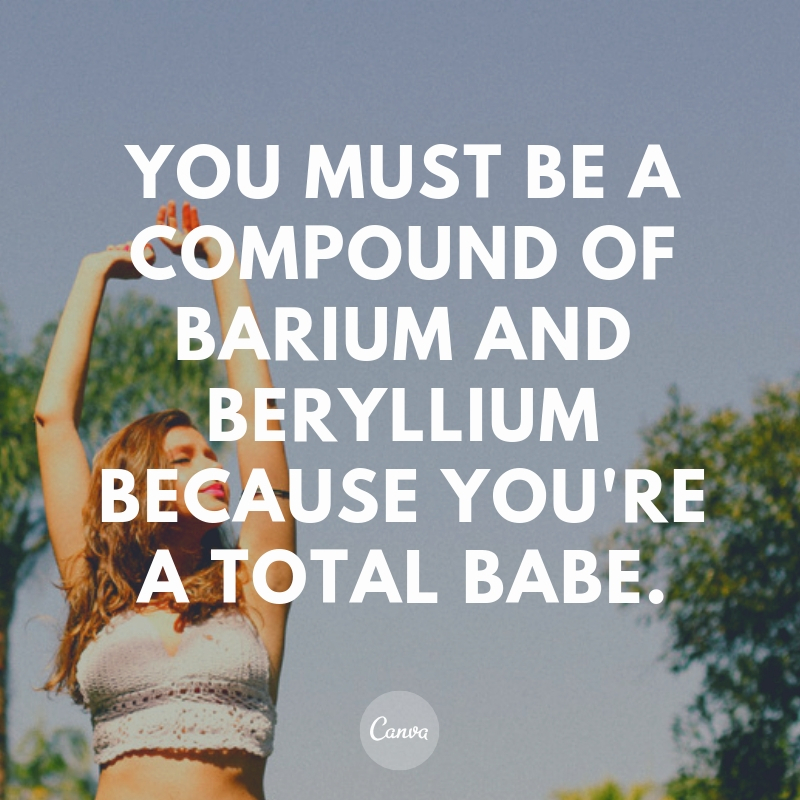 Are you a chemist? 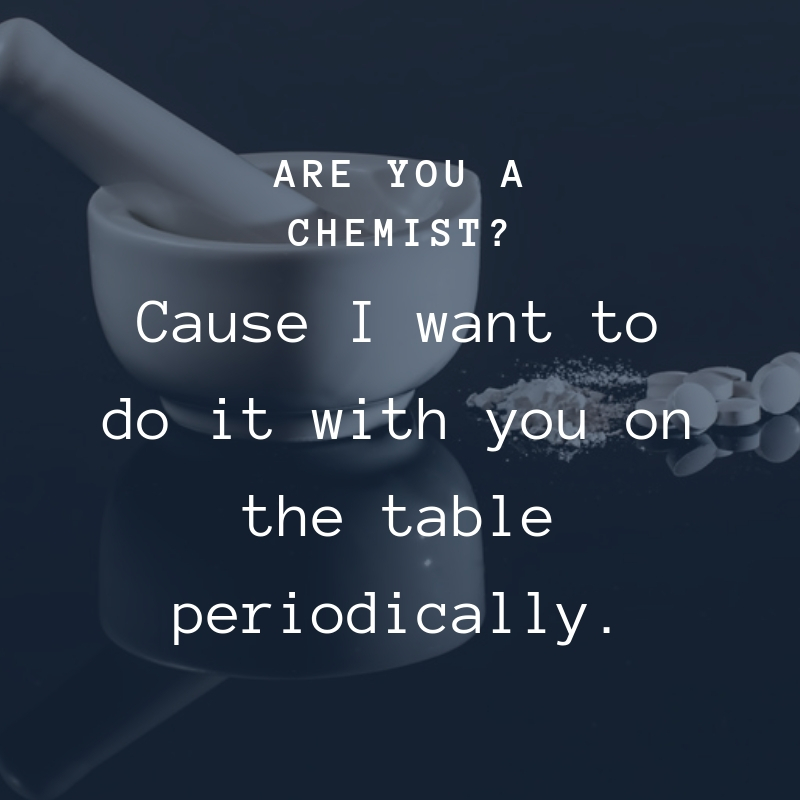 Cause I want to do it with you on the table periodically. 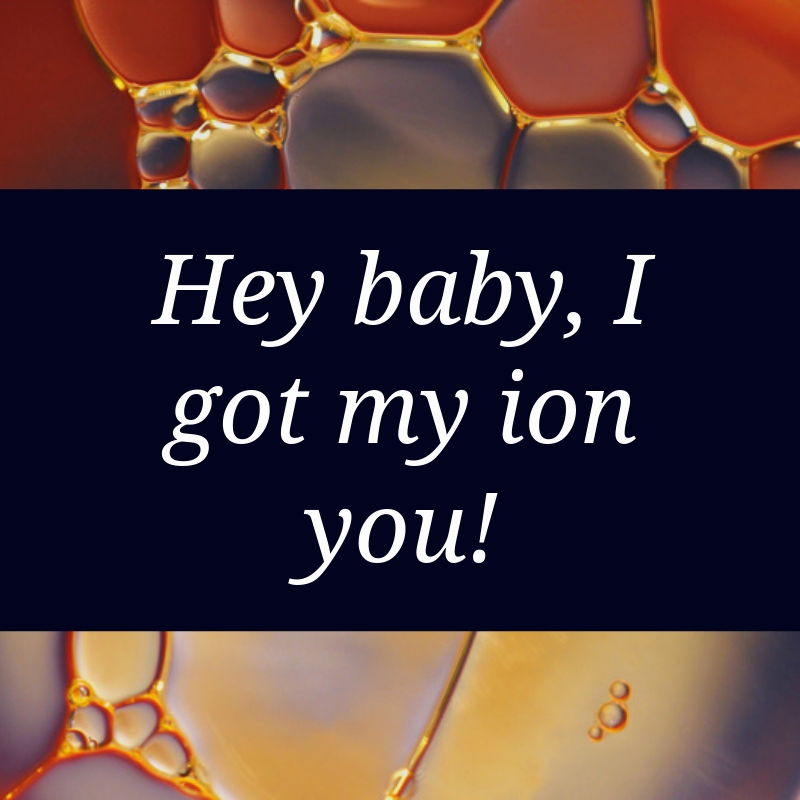 Hey baby, I got my ion you! 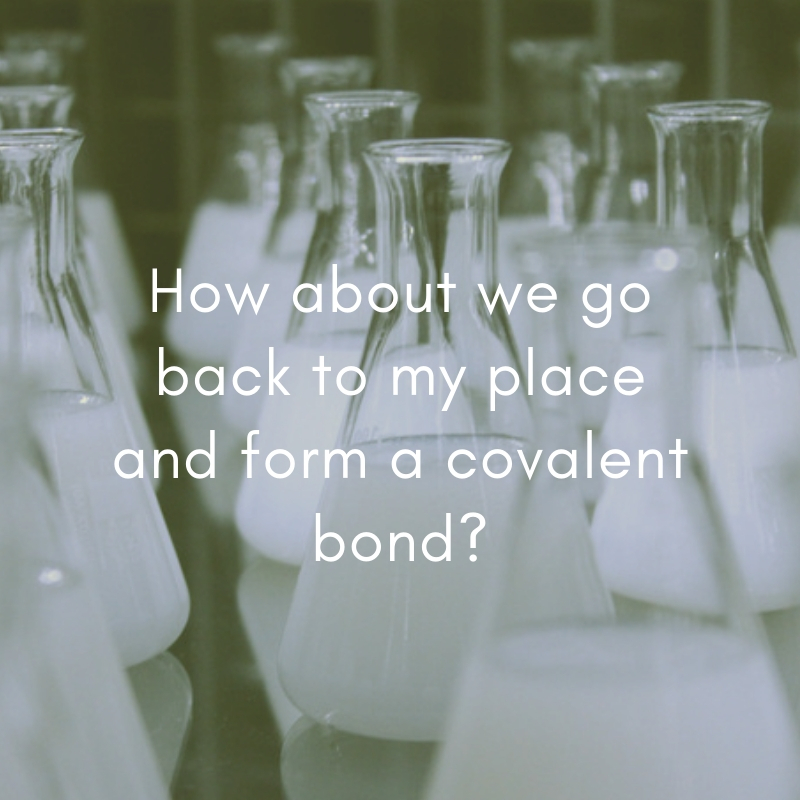 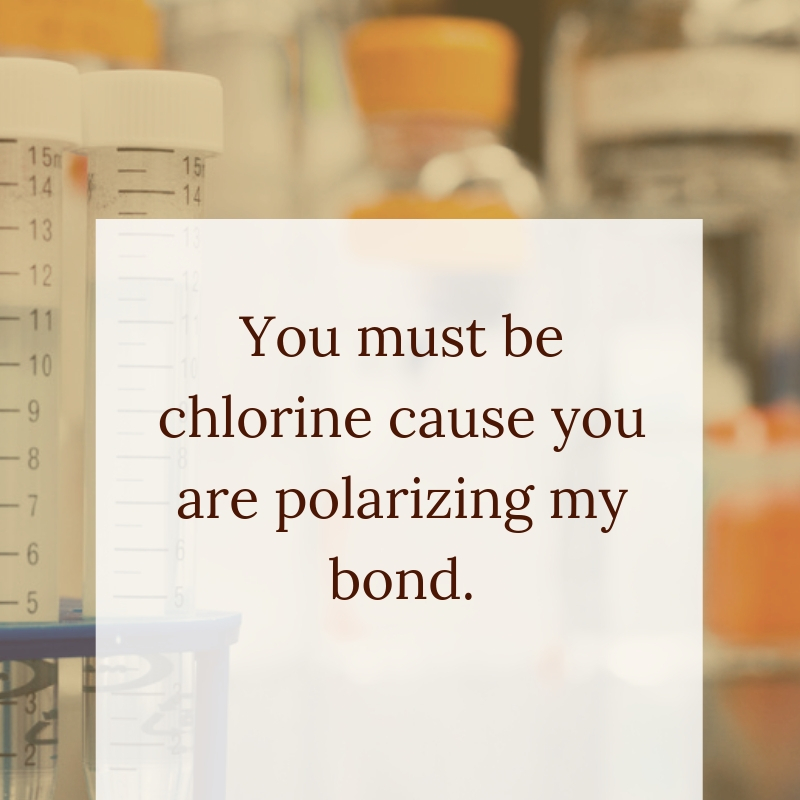 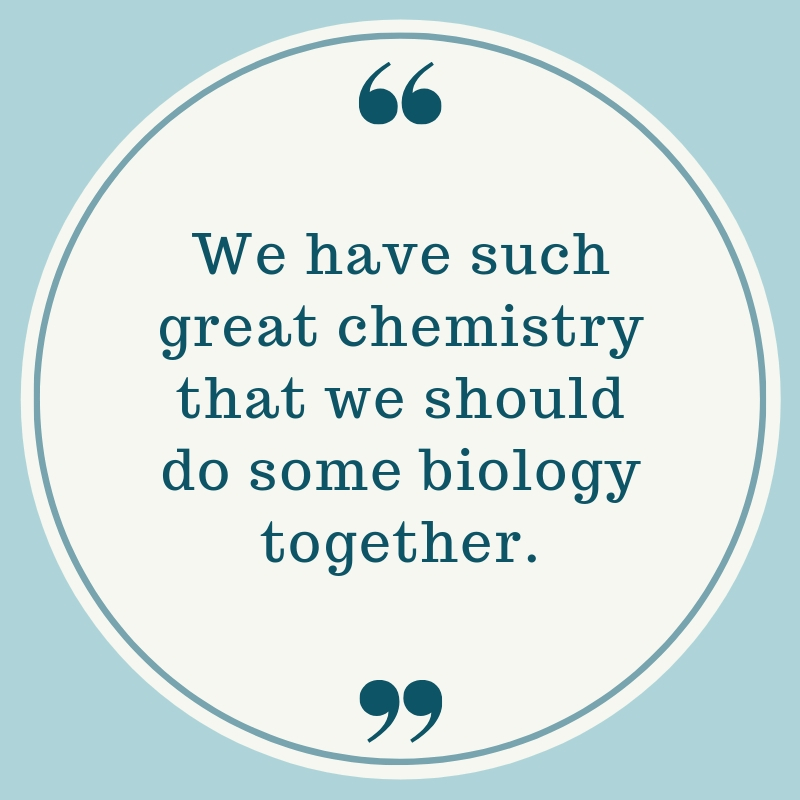 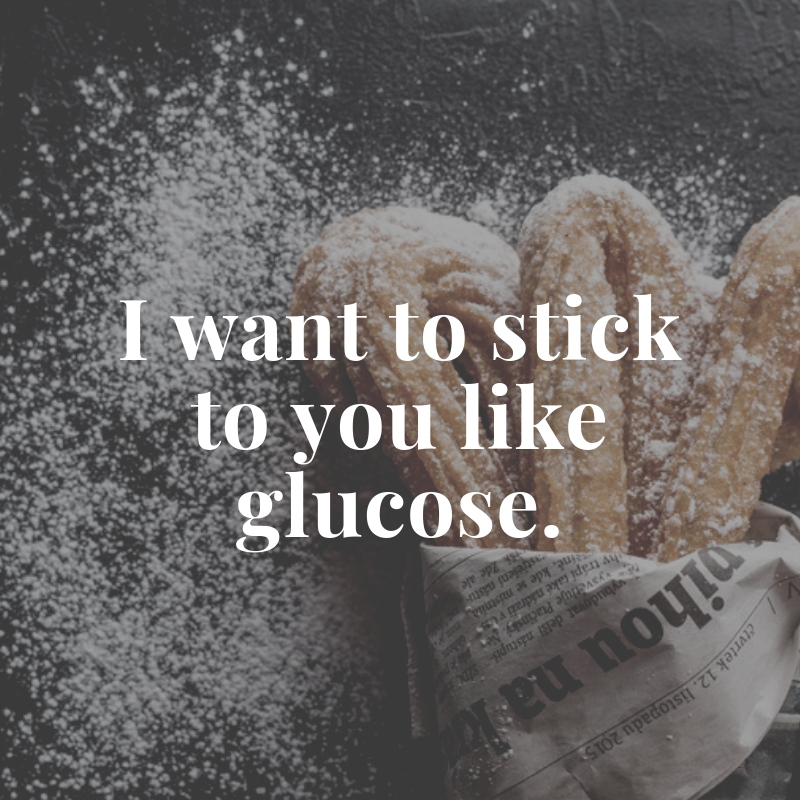 If you want to bond with another person smoothly, you definitely need to learn these chemistry pick-up lines. 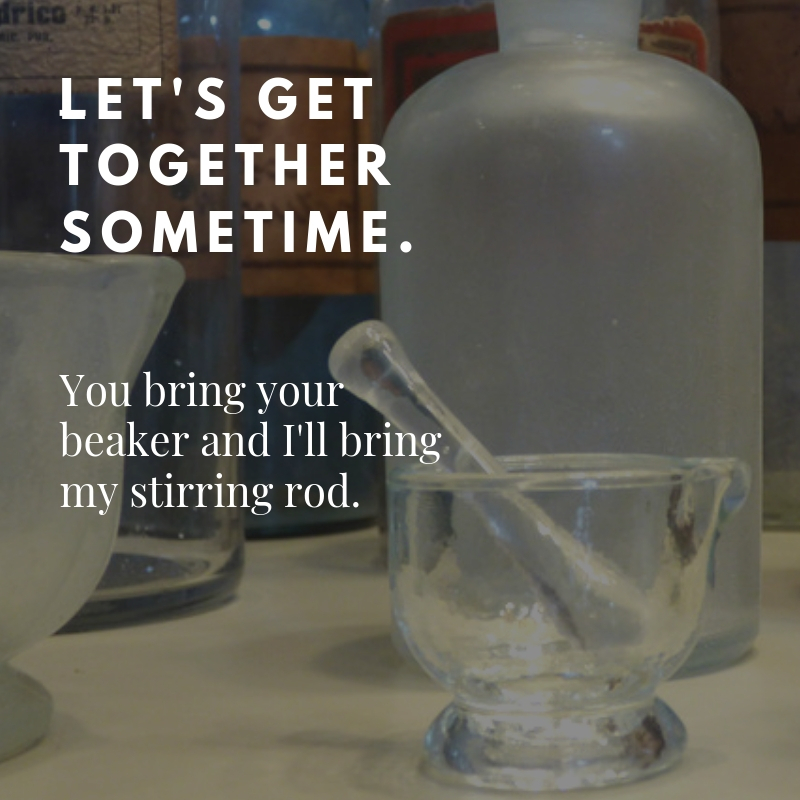 We bet that you’ll give them a good time and ask you for more.